Polls Open 6am to 8pm. If you are registered to vote, make your voice heard about the future of our city. Vote for the candidates of your choice. 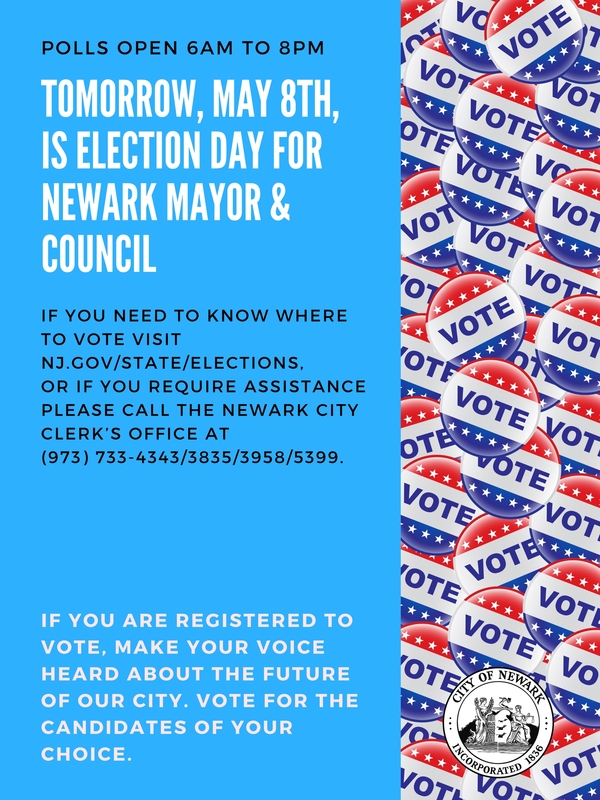 If you need to know where to vote visit nj.gov/state/elections, or if you require assistance please call the Newark City Clerk’s Office at (973) 733-4343/3835/3958/5399.